Tokyo’s crowded subways are already notorious — and it’s no secret that the subways have hired “pushers” to force the passengers inside the train. Granted, the pushers speak in polite language and wear spotless white gloves, but the fact that there’s a need for them in the first place speaks a lot to how incredibly packed the subway can be. Now, the Japanese municipality has an intriguing plan to reduce the crowdedness, at least in some areas: free food. Tokyo Metro Co. is launching a nearly two-week-long trial urging passengers to avoid using the 8 AM – 9 AM peak hour. If they do so for at least 10 consecutive days, they’ll be rewarded with free soba noodles and tempura. But there’s a catch: at least 2,000 people need to sign up for it. Soba noodles and Japanese tempura — a delicious treat meant to encourage workers to avoid riding the trains during rush hour. Image credits: Yu Morita. 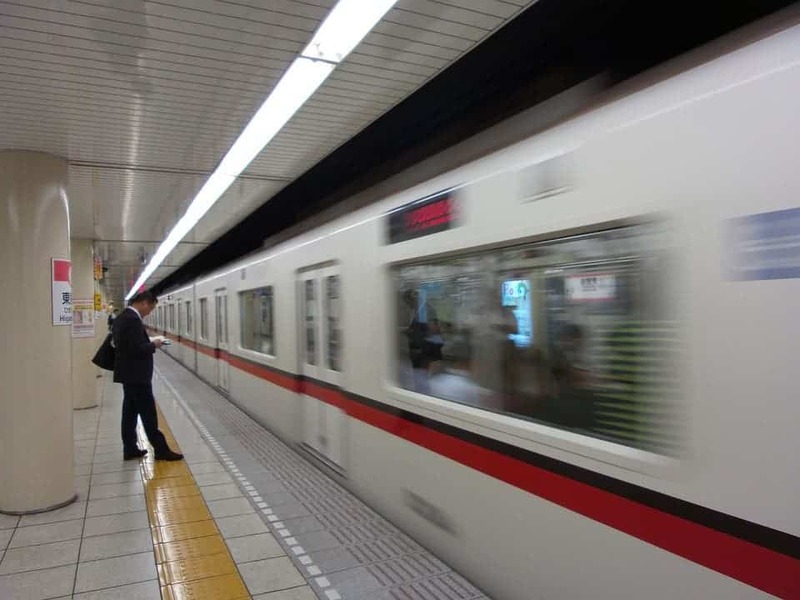 An estimated 8.7 million people ride the Tokyo subway every day. The Tōzai Line is the most crowded one, with a daily ridership of over 1.6 million people, with the rush hour being the most packed time, with trains operating at 199%rider capacity. Ironically, the extreme punctuality of the Japanese subways worked to make them even more crowded. Most of us leave a few minutes of leeway to account for the bus running a bit late or the crowded traffic — but if you knew exactly at what time the train would arrive, then why would you leave home any earlier? Since work typically starts at 9 AM, the rush hour hits right around 8 AM. Several countries have tried to address rush hour problems: in the UK and Netherlands, bus and train tickets are cheaper in off-peak times, and in Columbia’s capital Bogotá, drivers of non-commercial automobiles are prevented from driving during some rush hour times. Japan also tried to address this in several ways. It implemented women-only passenger cars (also for reasons other than just easing traffic), which worked to an extent, but it’s still far from being sufficient. The government also started a very generous proposal, effectively paying people to move away from Tokyo’s city center. However, the main problem still remains: Tokyo is a huge city, and Japanese people are working too much and on too strict hours. This is essentially what this program is trying to address. The idea didn’t come out of nowhere. Japan has some of the longest working hours in the world (despite having surprisingly low productivity). Workers rarely take vacations and they work very strict hours, always starting in the morning and often ending up doing a lot of overtime in the afternoon. The Tokyo administration has tried to combat this with a campaign called Jisa biz (jisa meaning time difference). Jisa biz was designed to make employers shift to more flexible hours, or at the very least, start a bit earlier to alleviate rush hour traffic. More than 250 companies that have voiced support for the effort, including Panasonic, Unilever Japan, and All Nippon Airways. The reason for this isn’t only to alleviate some of the pressure on public transportation — as you can imagine, traveling in extremely crowded trains is tiring and annoying for employees, making them unhappier and less productive. “Because of the packed trains, they were exhausted by the time they reached the office, then joined a long line waiting for the elevator at the ground floor. We thought this was simply unnecessary,” Mr. Takayuki Kitajima, the representative director for Unilever, told Nikkei in 2017, when the campaign was launched. Elevator stairs queues are another issue which Japan has tried to address for Jisa biz — there are studies recommending waiting on both sides of the stairs, instead of waiting on one and walking on the other. This is where the free food comes in. Firstly, I hope you’ll excuse me for delaying the free food discussion so far into the article. I know that’s probably why you’re here — because let’s face it, who doesn’t love free food? The Japanese also love free food, and this is exactly what authorities are banking on. 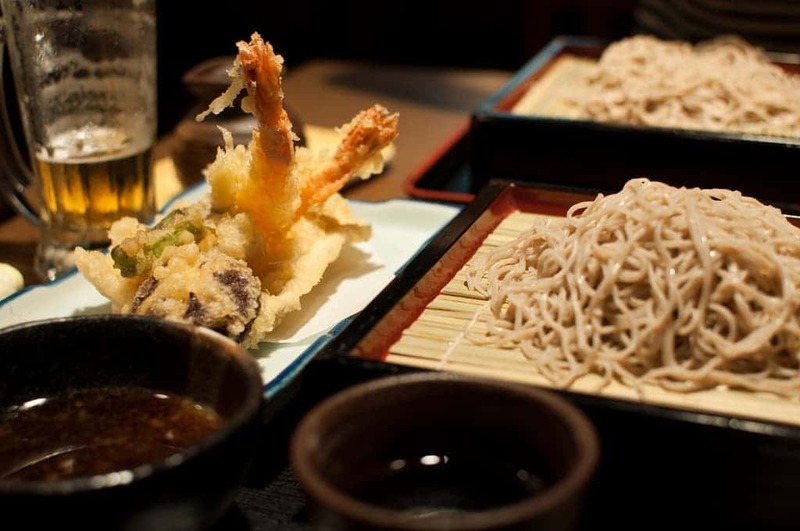 Soba noodles (the healthier and tastier cousin of ramen) are a favorite of most Japanese people, and tempura (a Japanese dish usually consisting of seafood or vegetables that have been battered and deep fried) is another delicious staple of Japanese food. But there’s a catch, reminiscent of the prisoner’s dilemma in game theory: there are up to 100,000 people using the Tōzai Line during rush hour. If fewer than 2,000 of them sign up for the free food, no one gets anything. If 2,000-2,499 people sign up, they get the tempura, but not the noodles. If over 2,500 people sign up, they get the whole thing. So at least 2% of people need to agree to this for it to work, which seems reasonable, though not guaranteed. It wouldn’t take all that much to reduce the congestion, researchers say. “If, for example, one in every five people decides to shift (commuting times), the congestion in trains could be resolved, even if just by a little bit,” Naohisa Okamoto, a professor at the Urban Transportation Lab at the University of Tsukuba, told Japan Times in 2017. Granted, 20% is much more than 2% but we’ll see how well this campaign holds up. So far, reactions to Jisa biz have been lukewarm, but Tokyo administratives hope that the free noodles can heat things up. If free food can’t do the job, then what can?